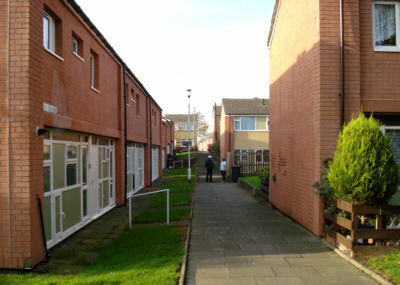 A further mixture of terraced houses, looking north up Henrietta Street. 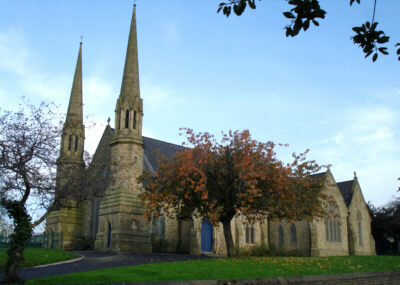 St James Church, Cowhill Lane. 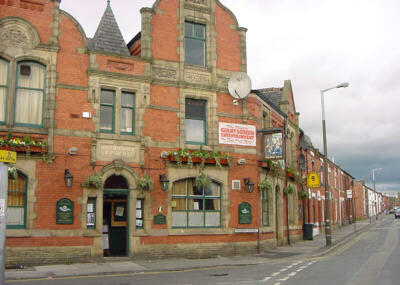 The Canterbury Arms at the bottom of Union Road, Hillgate. 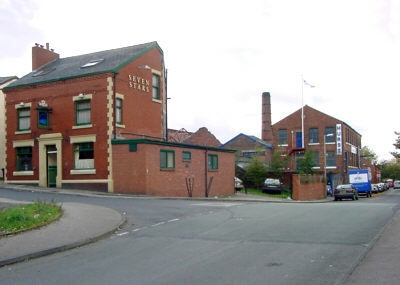 Seven Stars public house, Hillgate Street and Hurst Laundry, Holden Street. 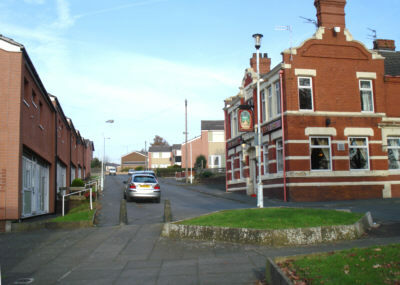 The Halfway House public house on the corner of Whiteacre Road and Holden Street. 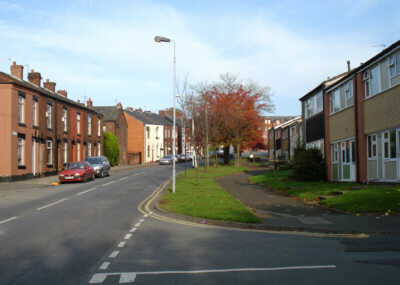 Union Road, looking towards Kings Road. 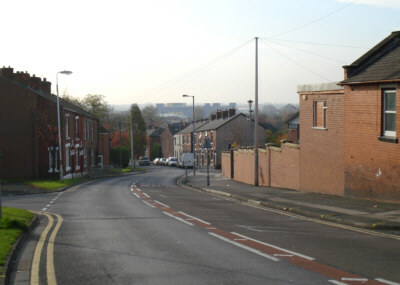 Looking down Union Road towards Ashton centre. 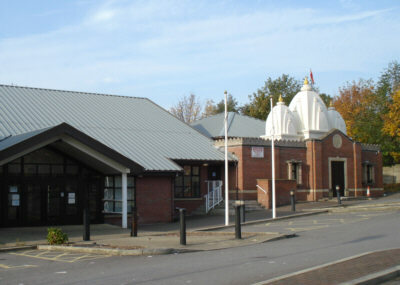 Indian Community Centre and Hindu Temple, Union Road. 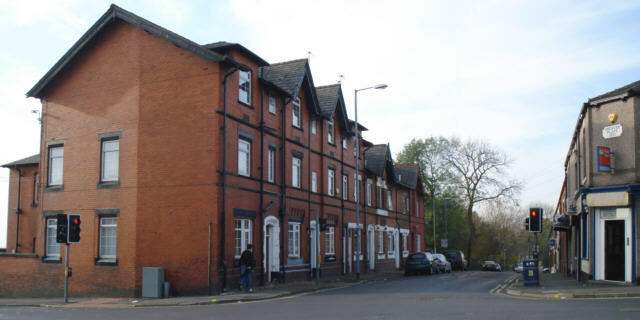 Old Police Station, corner of Ladbrooke Road. 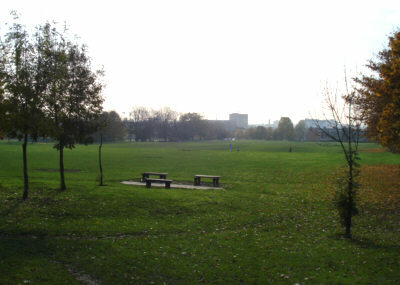 King George VI Playing Field, seen from Ladbrooke Road. 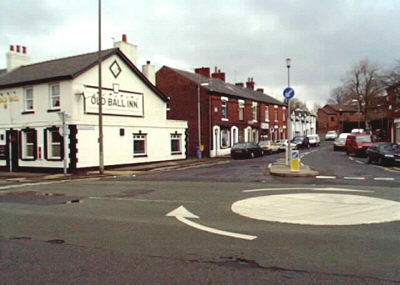 The Old Ball Inn at the junction of Henrietta Street and Smallshaw Lane. 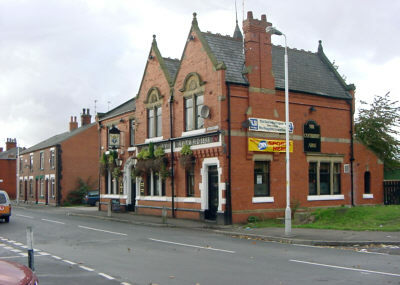 The splendid Broadoak Hotel in the Smallshaw area of Ashton. 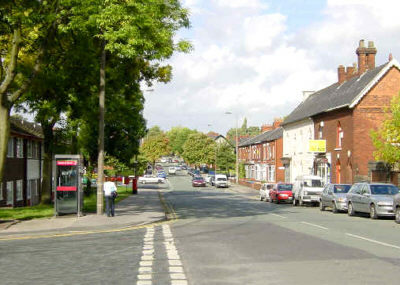 This was the setting of the first broadcast of the long-running radio programme Gardeners Question Time, which featured Ashton's own Bill Sowerbutts. Each year on the Friday after Whit Sunday, the hotel hosts one of the local traditional brass band contests, attracting over 40 bands from around the country.